When I saw this product on Linus Tech Tips I had to give this graphite magic stuff a try. I went right to Amazon and picked it up in the two sizes available. The one I'm talking about in this review is available here. Was a reasonable price at $9.99 for 30 x 30 & $12.99 for 40 x 40, especially since you can reuse these! 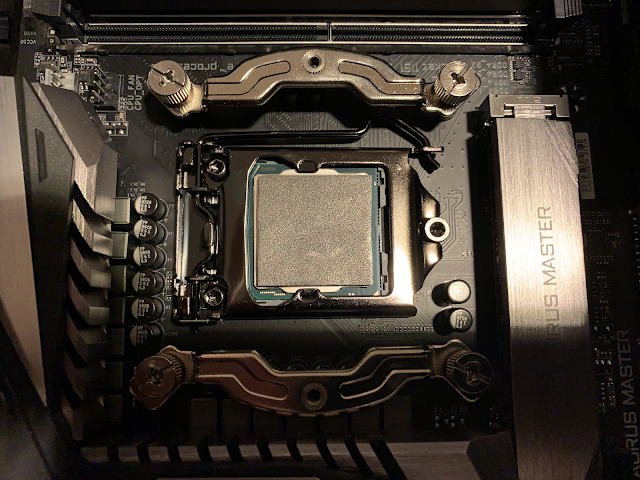 No washing it away with alcohol and Q-Tips, just pull it off and toss it between your new cooler or water block. The SIV application was setup to poll CPU temp every 5 seconds and game play was done during a hour or so of playing The Division 2. I just recently upgraded to my i9-9900K and used the Noctua NT-H1 when building this system with the Lucifer v2, so it was easy setup for that. Moving over to the IC Graphite thermal pad was a different story. First off we had to remove the cooler and clean up the CPU and cooler! Douglas is dirty as well. Now at this point of the new setup I noticed something blatantly obvious. The graphite pad slips and slides on the slightest movement of the case. Which made it VERY difficult to keep it under the Lucifer's shiny mirror like surface. 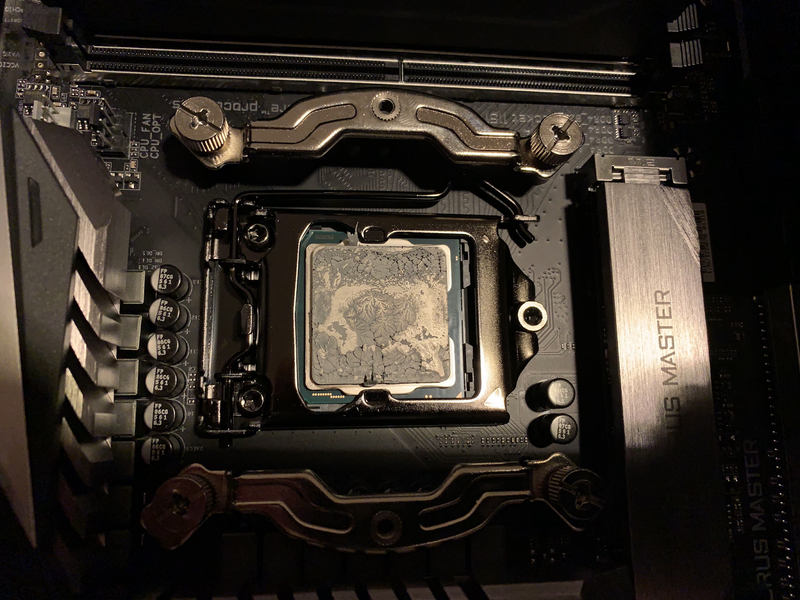 I had to have my wife lend me a hand in mounting the cooler with the IC Graphite Pad. As I mentioned earlier these measurements where taken while I was playing The Division 2 for over an hour. 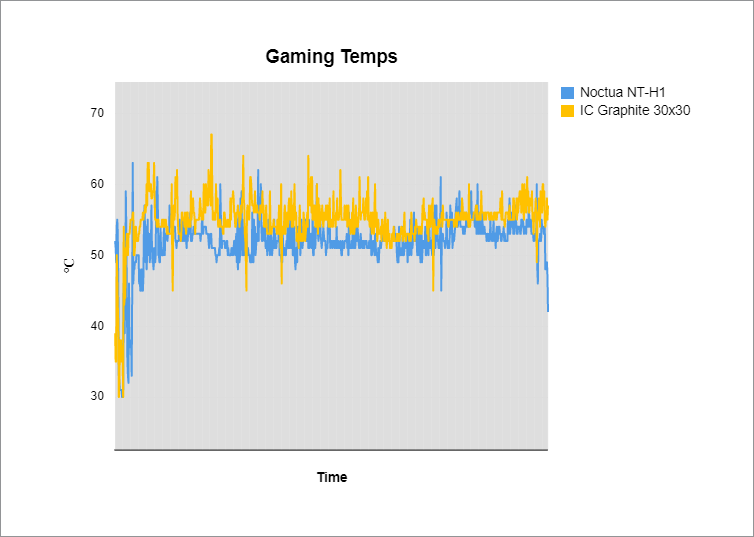 With the Avg, Low and High you can see that you get any where 3-4℃ warmer than the Noctua NT-H1 over all. 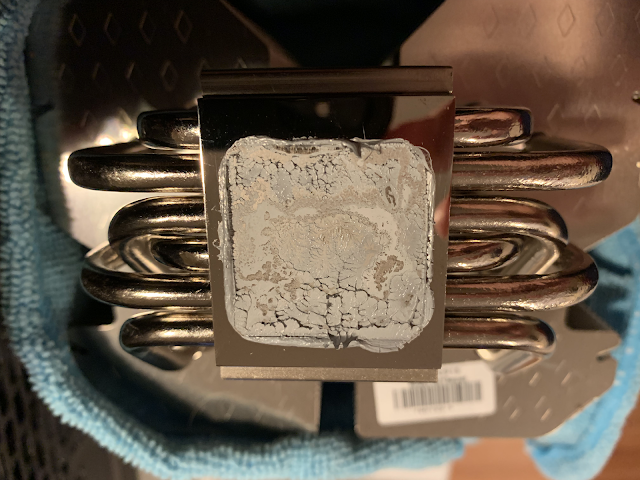 I would say if you're looking for longevity in your build and don’t change parts all the time like myself, the IC Graphite Thermal Pad. For someone that changes my setup all to frequently I will probably stick with good ole' thermal grease, or liquid metal compounds.